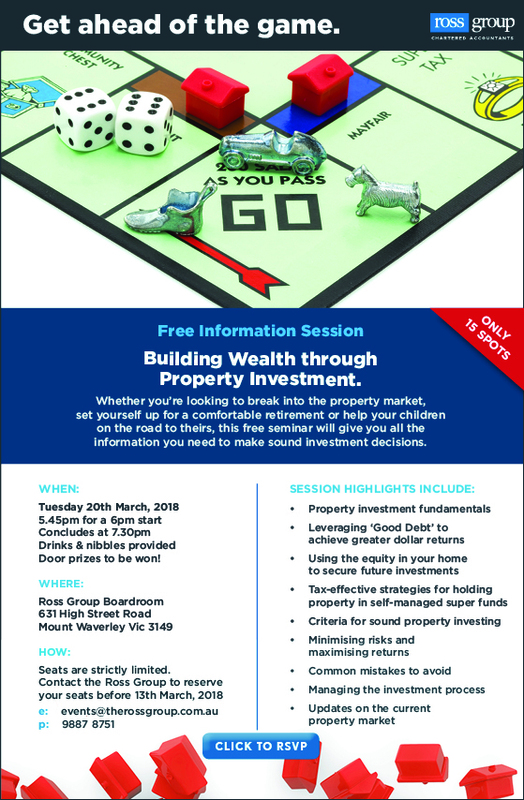 Our good friends and sponsors Ross Group are holding a Property Investment seminar on Tuesday night. This event is a popular one, with strong relevance for everyone from first home buyers to seasoned property investors. Make sure to check it out if you're interested and support a sponsor that has provided great support over a number of years.